Over the last 48 hours, a ton of people have sent us links to stories that claim Kanye West is a billionaire. He's not. Please stop sending us this bogus fake news story that has telephone-gamed out of control. Kanye is very successful both in music and fashion with his Yeezy clothing line, and both endeavors earn him a ton of money each year. But billionaire? Nope. Nope. Nope. "I would say my husband is, so that makes me one, right? By proximity." The correct phrase she was looking for was "by proxy"… but I digress. 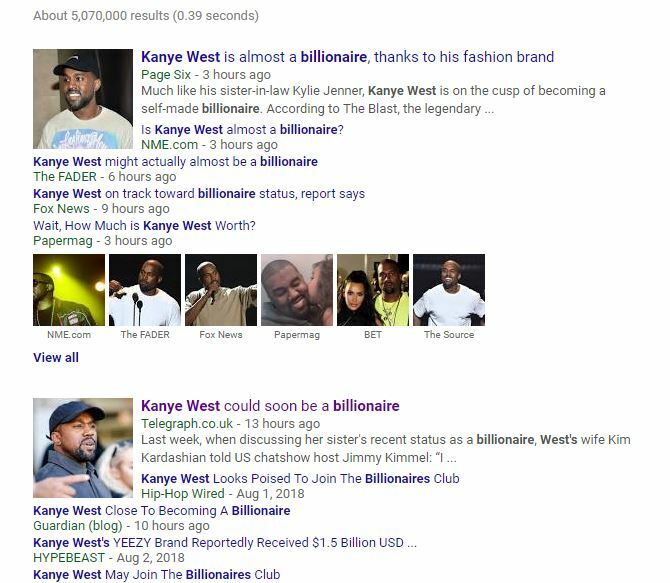 So based on that one throw-away line on Kimmel, a thousand web sites have cranked out a thousand articles with headlines like, "Kanye West Is A Billionaire," giving no evidence at all. Some of the slightly more credible sites point to an article on TheBlast.com to back up their billionaire claims. That article on The Blast says, again without citation, that the Yeezy brand was recently valued at $1.5 billion "according to a source" and therefore Kanye is a billionaire. So look: Just like with the Kylie situation, I'm not trying to be a hater. Clearly the Yeezy clothing brand is valuable. But if his deal with Adidas is like every other celebrity clothing partnership with a major brand that's ever been done, he does not actually OWN the Yeezy brand. If the deal ever fell apart, it's possible that Adidas would let him buy the brand from them, but that would be extremely costly. This is exactly what Roger Federer is currently trying to do with his RF brand and Nike right now. 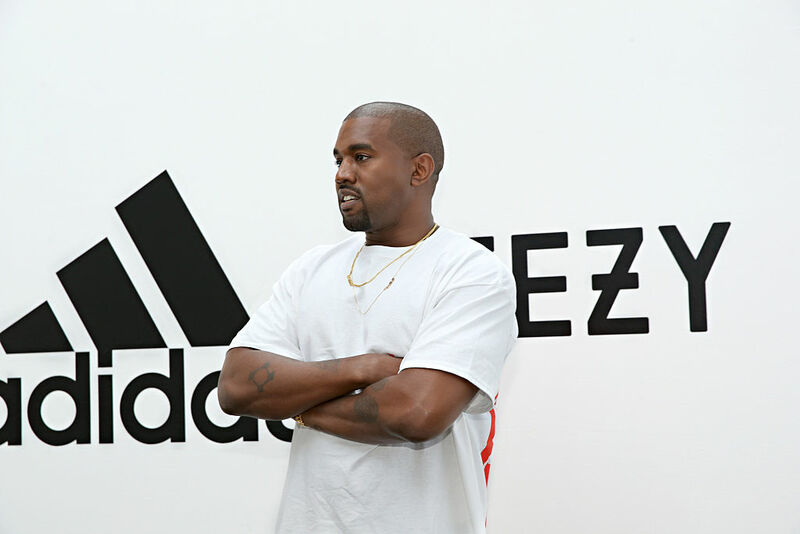 The reality is that Adidas owns the Yeezy brand and simply pays Kanye West royalties. In fact, the whole reason Kanye ditched Nike back in 2013 was because he wasn't earning royalties. Adidas offered him a partnership in which they would pay him royalties, so he became an Adidas guy. As a perfect example, Michael Jordan doesn't own the Jordan brand, Nike does. Michael gets paid royalties based on the sales and profits milestones. In a typical year, MJ earns $80 – $90 million in Jordan brand royalties. "There is no doubt the Yeezy brand has a fundamental impact on our overall brand position, but in the bigger context of us being a $25 billion company, it's a small part of our company." Note how he said "a small part of OUR COMPANY." Here's what I think you'd learn if you had full transparent access to Adidas and Yeezy's books: I would wager that Yeezy does moderate overall sales. Probably less than $50 million in total sales ever year. There I said it. I know that's going to be an unpopular opinion. On the flip side, I think that Yeezy has been magic for Adidas' brand. Kanye West has done an amazing job making Adidas cool again. I could be wrong and I'd be happy to be proven wrong, but I want to just throw some cold water on this rumor mill before it gets even more out of control. If you do trust Forbes, let me also point out that in their recent annual report of the highest-paid celebrities on the planet, Kanye did not make the cut (he was not in the top 100). In their 2017 report on the hip-hop's cash kings, they placed Kanye at #11 with earnings of $22 million. Could you assume that half of that came from music and the other half from Adidas? So in 2017 he theoretically earned $11 million in royalties from Adidas. All I'm trying to say is there needs to be a little bit of skepticism before we all go around agreeing that Kanye West is a billionaire because Kim said so on Jimmy Kimmel. That's all. Until a serious financial new source like the Wall Street Journal does a deep dive on the revenue, costs, growth, royalties and ownership structure of Yeezy, I'm sticking by the statement that Kanye West is NOT a billionaire.